and Metal community set receive accolades at event. 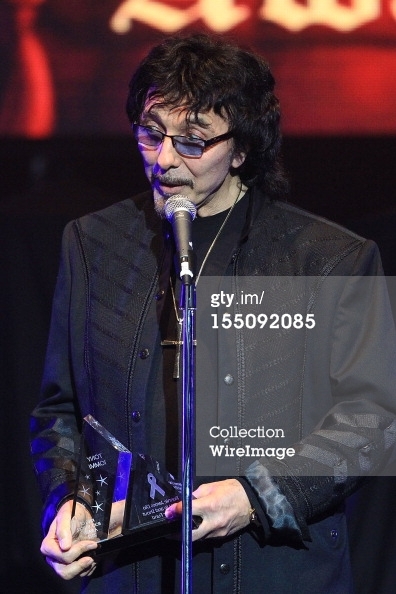 Iommi: "That's wrong. When Ozzy said it, I think he meant what we've done. We've written 15 songs and we've played them all. But now, at the moment, we're recording them. We recorded them at my house first, in England, just as demos, but now we're doing them for real. So we're about six tracks in now, at the moment." Iommi: "Well, he's just a vibe merchant, really. He vibes you up. He's not one that gets involved hands on. He leaves it to you to do it, and he sort of says, 'I like it,' or 'I don't like it.'" Iommi: "We'll always have a heart for Bill, but I think it's gone past that now, because it's gone on so long that I don't see that happening at the moment. Maybe at some point we might [play together again]." Way to go Tony! Bring on the new album, we the Sabbath fan collective WANT it! Hope you're feeling alright and getting better.